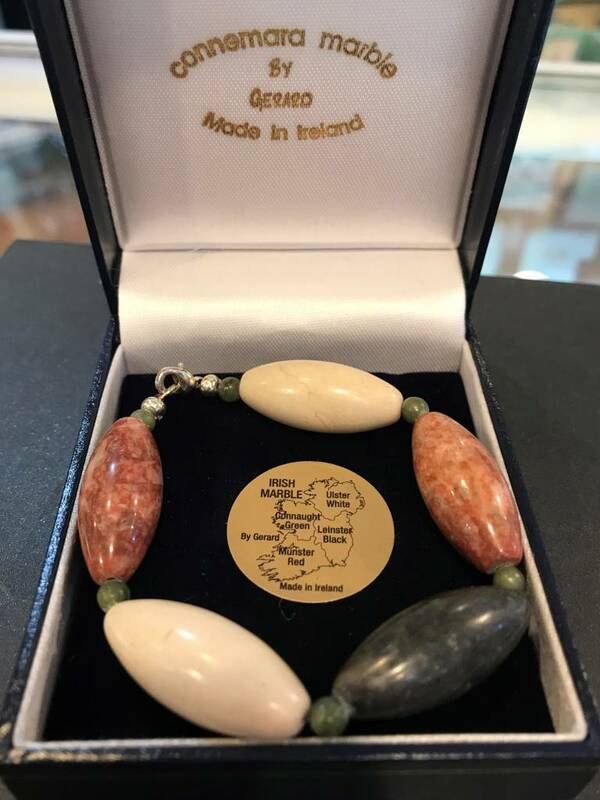 Connemara Marble is a rare form of marble found in the region which is typically green-ish in colour. It is said to be one of the rarest forms of marble in the world due to its limited supply and dates back over 600 million years. The marble itself is formed when limestone is heated under pressure. While the colour is predominately green there are often shades of grey and brown seen throughout. It dates back to the Precambrian era.